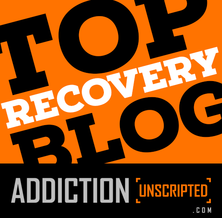 When you see someone after a long time out of rehab, it’s usually common to notice one thing; the changes in their life and their entire environment. It’s no secret that recovery can change someone’s entire existence but it’s also important to note that these changes are not easy to make. Holding onto your old way of thinking usually means staying in addiction. Even though our past could’ve been embarrassing, it builds the person we become tomorrow and acknowledging this takes courage and bravery that you can only find if you start being honest with yourself and with others. Leave the past behind, work on your present and your future. In order to move on from the past, it’s time to start taking responsibility for your past behavior and your substance abuse. Taking responsibility for your substance abuse will also allow you to grow and gain some insight, which in return will help curb those cravings. 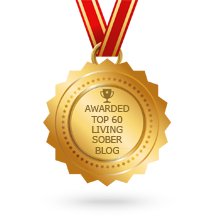 Even in sobriety, people tend to make up excuses for the little things in their life, learn to break this habit. Excuses always cover up when we know there’s something wrong in what we’re doing, and carrying our past around won’t make it any easier. Our past is our past and as it is, there isn’t any way we can alter or change anything in it; nor is there the need to make up excuses for it. It’s important to reflect on the people around us and who you were surrounding yourself with during your addiction. Unfortunately, the friends in our past can sometimes contribute to being a bad influence and provide temptations. Real friends will always be there for us no matter what, but some of them will continue living their lives the way they always have and that might not exactly match up with our plans for the future. Saying good-bye can be something hard to say to people you’ve spent a long time with, but in the end, it will benefit you more than you can imagine. Surrounding yourself with new sober friends will definitely make you feel better about yourself and will help to create new and healthy habits for your new life. When trying to go clean, it is very important for us to step aside and leave behind all kinds of situations where we might be exposed to the temptation of relapsing. Avoiding nightclubs and bars can be of great help when trying to stay sober in case of alcoholism. We can still have fun with friends and family in a situation that doesn’t involve alcohol as the fuel to the engine of our party. This issue might be rather difficult to give up as much addiction itself. Our minds are always trying to justify our behavior when caught and one of the easiest ways to do it is through lying. Finding yourself and being true to yourself and the ones you love will always be the strongest rocks you can put as the first basis for your new life. Honesty goes far beyond any other road and will lead you to inner peace, happiness, respect and love, not only from the people who are close to you but most importantly love for yourself. Drug rehabilitation can be a hard process for many people, but we can always make it easier on ourselves when we take a helping hand, follow advice, or simply give up things that eventually could lead us back into that endless cycle of decay. Making peace with yourself and your past will always be the first step towards building a new life, whether you’re dealing with an addiction or not. Leaving things, situations, people and behaviors behind that could always drag us back into temptation can mean not only some sort of sacrifice but also an effort into starting clean a new life with little to no baggage. We can always pack-up light to have a new start and takeoff on a new journey where good health, peace, love and balance are leading our ship. Are there any other things that you can think of to help you with a successful recovery? Leave a comment below. If you, or anyone you know, is struggling with alcohol addiction, please click the Find Support link for an extensive list of support groups. Also please check out the links to many useful resources in the sidebar. Thank you so much for this article. Very timely for me. Happy to be on this journey with you!